Winter is a great time in Heiligenblut. Where the highest peaks line up, the winters are still rough, snowy and inexorable, just as you would imagine. 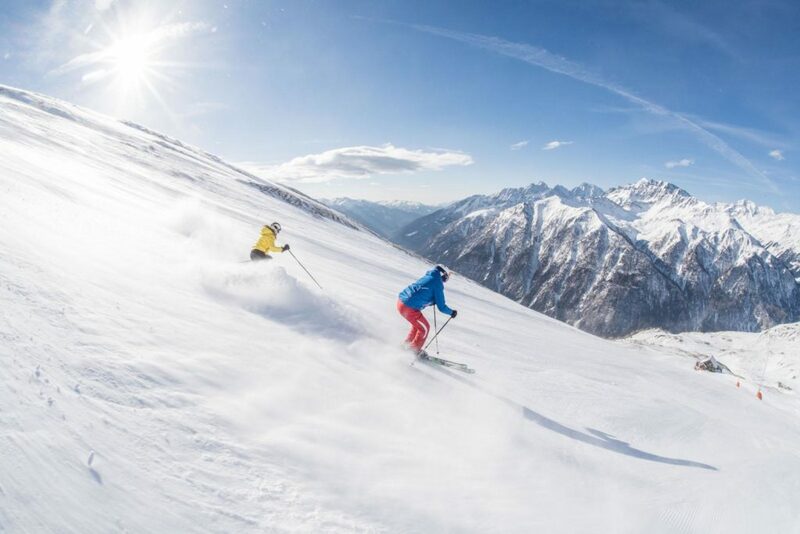 When the natural snow falls from the sky, the Großglockner Heiligenblut ski resort opens its doors and offers the best slopes, steep freeride runs and the best natural snow. 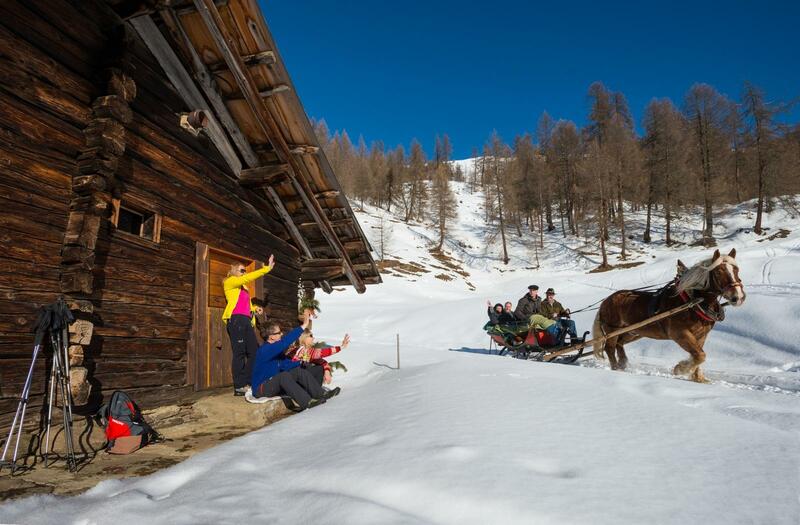 But even off the slopes you will find many more highlights. 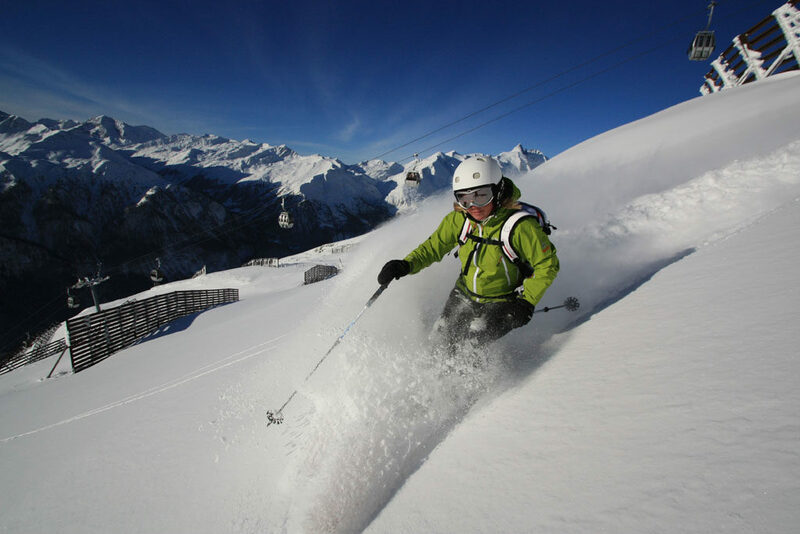 55 km of perfectly groomed pistes and 12 modern ski lifts will give you the full range of winter sports. The ski bus takes you directly from the Landgasthof Sonnblick to the base of the cable car and deep into the winter paradise of the ski area. While you carve over the slopes, you will be watched by the 3,798 m high Großglockner, who is always present and oversees the scenery. Not only “on” the groomed pistes winter is a great season. “Off the beaten track” reveals which skier’s wood you are carved out of. The area is divided into 6 freeride sectors, all of which belong to the freeride ski area and where a necessary level of skills and knowledge is crucial. Closer to the ski area you will find our four ski routes, which also take you off the prepared pistes into the valley. 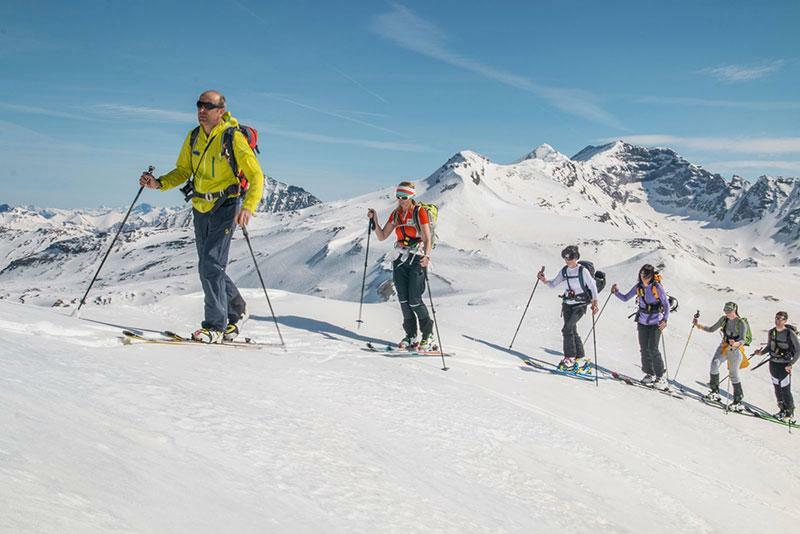 Which ski touring classic should it be today? The Hoher Sonnblick, the Hocharn or maybe the legendary Glockner circuit? 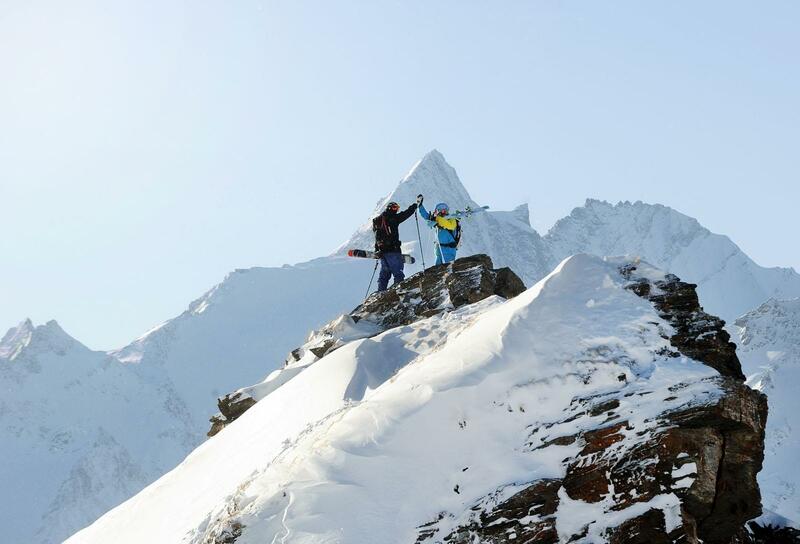 The region around Heiligenblut am Großglockner is a paradise for ski tourers. 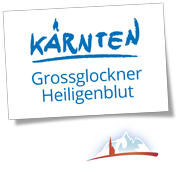 To make sure you are on tour safely, ask Klaus Brandstätter, he knows the ski touring region very well and gives good advice for tours, safety and conditions. We are athletic in Heiligenblut am Großglockner. That’s why we can not really sit still and build cross-country trails, groom our ski slopes or even build an ice climbing tower in the village center, where you can get a taste of this breathtaking sport. If you are very active as we are, the Sonnblick cross-country ski trail starts right behind the Landgasthof Sonnblick. So, buckle up, get ready and start skating. It does not always have to be elite sport. Let the freeriders find their own lines and leave the ice climbers hanging in the ice, you will have a nice day with your kids. 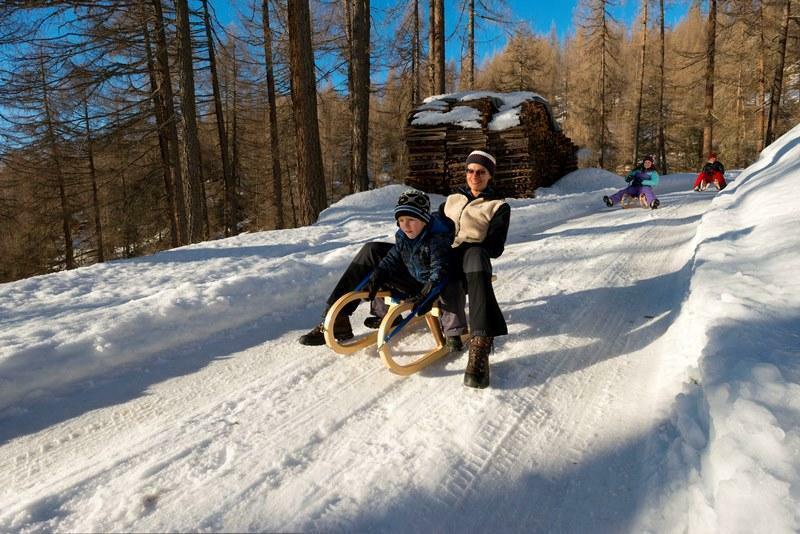 On the toboggan runs in the region, the family fun is not far away. As well as at the ice skating track, in ice-curling tournaments or during a leisurely ride on a horse-drawn sleigh. Enjoy your family holiday.